John Burns is a Partner in the Commerce, Technology & Media team and heads up the firm’s Sports Sector team. 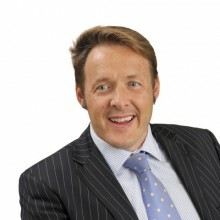 John has acted for a wide range of sports clients including football clubs, agents, athletes and leading sports brands. John’s main areas of work for sports clients are brand exploitation, sponsorship agreements, commercial contracts and intellectual property matters. His uncluttered and commercially focused approach has won him praise when dealing with high profile, high value matters.